Top 3 Ways to Right Click on Macbook. I had a Windows PC before and am used to having two types of clicks, a left-click and a right-click. Now, I bought a MacBook and it only has a single click. Although I find my MacBook very handy for my creative projects, I still want it to have a right-click option. How do I right click on MacBook? You are in right place. I will share some solutions to right click on Macbook. Read Along. Part 1. What is Mac Right Click? Part 2. How to Right-Clicking On MacBooks? Part 4. How to Use The Mac Uninstaller? During the first 2 decades of Mac’s life, it was notorious for having only one mouse button. This was contrary to Windows PC who had two mouse buttons; one for left-clicks and another for right-clicks. With Mac’s mouse, there was no option to do a right click. Since Mac has only one mouse button, to achieve a right-click, you have to press Ctrl and click the mouse button at the same time. Ctrl + Click is the equivalent of the right-click. With applications and websites that support the right-click feature, doing a Ctrl + Click will achieve identical results as that of doing a right-click on a traditional mouse. After some years, the Apple mouse still doesn’t contain a right button. Actually, they do not contain any button. Trackpads on the MacBook Pro, MacBook, and MacBook Air do not have any buttons too. Although at present, the macOS has included support for doing a right-click (a.k.a. secondary click). Thus, when you purchase a mouse from third-parties that includes a right button, you will have the ability to utilize it on a Mac. For example, you can right-click this third-party mouse to show a contextual menu. Apple calls the popularly-known right click as secondary clicks. It is due to the reason that a variety of options are available for performing the said secondary click. Step 5 - Choose one of the following: Click in bottom left corner, click or tap with two fingers, and click in bottom right corner. If you wish to tap the Trackpad instead of a click, go to the box titled “Tap to click” and check it. You can also set up the Tracking Speed of your pointer inside your Trackpad pane. This refers to how fast the pointer moves on the screen as you move your finger along the trackpad. You can simply move the slide to the left for a slower pointer movement. Sliding it to the right will result in a faster pointer movement. Gestures for zooming and scrolling can also be configured. Gestures for features such as App Expose, Mission Control, and Notification Center can be modified as well. Once you have modified the secondary click options, you might find that the modification you have done doesn’t suit your preferences. You can simply go back to Apple Menu’s System Preferences and do the same steps all over again but on another option. Part 3. How to Right-Clicking on Mac Mice? Apple’s Magic Mouse looks like a sleek piece of device that doesn’t show its right button visibly. Step 5 - Select “Click on the right side.” This will activate secondary click (a.k.a. right-click) on a Mac mouse. If you want to have the left side of the mouse as the secondary click, you can choose the option “Click on the left side.” In addition, the Point & Click tab gives you the ability to modify the mouse tracking speed. Part 4. How to Change Double-Click Speed Of Mouse? Most people are used to a standard speed of double-clicking the mouse. However, other people have different requirements and this means they need to adjust the speed of double-clicks in their mouse. You can actually modify the length of time your Mac waits for in order for a second click (of a double-click) to happen. This is very important if your fingers move comparatively slower than the standard double-click speed. Step 3 - You can find a slider entitled “Double-click speed.” Drag it towards your left-hand side to make your Mac wait longer for your double-click’s second click. In the Accessibility pane, you can modify the delay that happens during the time when you drag a file over a folder and standby for it to automatically spring open. If you notice that when you drag files towards folders and it unintentionally opens, you can modify the speed of spring load by slowing it down. However, if you notice that you have to wait for a really long time before a folder opens, then you can modify it in the opposite direction. The slider entitled “Spring-loading delay” can be dragged towards the right to make folders open slower and it can be dragged to the left to make folders open faster. Tip: The right-click function of the Mac can be managed with the Accessibility, Trackpad, and Mouse System Preferences panes. These three are all standard of the macOS’ System Preferences. Sometimes, third-party applications, software, and plug-ins have their own panes and install it in your system. In most cases, there are no problems with this. It’s because it is dependent on how to control the plug-in or application. However, sometimes it can lead to issues (e.g. Flash gets outdated). In these types of cases, you can use iMyMac’s Mac Uninstaller to safely uninstall the ones causing the problem. How to Use Mac Uninstaller? Download iMyMac Cleaner and open it. Choose “Mac Uninstaller” on the left-hand side of the screen. Click Scan button to scan all applications on your device. After the scan is done, all the applications and software will be listed on the main screen. Select the application causing trouble. Click the Clean button and confirm the process. In the past, Mac doesn’t have a right-click feature on their mice and trackpads. Fortunately, at present, it is now available and is called a secondary click. You can do various methods to configure your right-click (secondary click) on a Mac and a Mac mouse through the System Preferences. You might notice, though, that when you install other applications, they have their own System Preferences panes. This might cause some issues on your device. 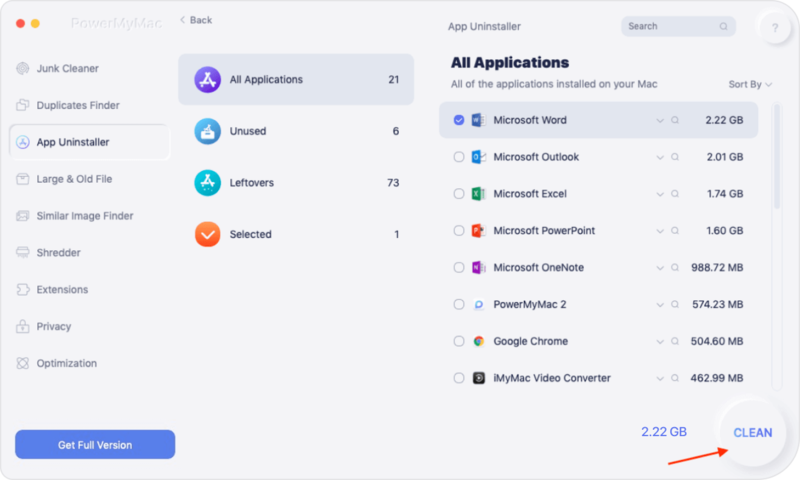 Fortunately, you can use iMymac’s Mac Uninstaller to uninstall or remove the application causing the problem. / Mac Uninstaller / How to Right Click on Macbook?